Click this ad to visit us online. A Celebration of May’s Life will be Wednesday, April 17, 2019 at 2:00 PM at Pace Funeral Home with Pastor Wayne Bickley officiating. To send your online condolences visit www.pacefuneral.com. We rejoice in the life of Connie Hatfield Collins. Born on November 19, 1961 passed away on April 9, 2019 in Fort Worth, Texas. Connie lived 57 years and 4 months. She is survived by her mother Betty Thornton, brothers Jack Thornton and Fred Thornton, sisters Elfi Stewart, Anita Partida and Betsy Welch, her son Kenneth Hatfield, daughter-in-law Tara Hatfield, granddaughters Kayla Hatfield and Emma Hatfield, grandson Hunter Hatfield and all of her numerous nieces and nephews. Connie was preceded in death by her father Robert Thornton and her husband Lavon Collins. 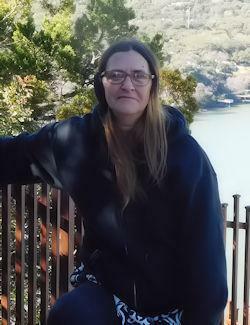 Connie served Polk County Texas for 20+ years in several different positions in the EMS field. Connie was loved greatly and will be missed by all that knew her. 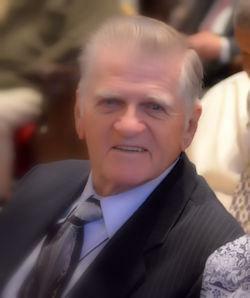 Funeral mass for William Henry Clafferty Jr., 82, of Livingston, Texas, will be held Thursday, April 25, 2019 at 11:00 a.m. in the St. Joseph Catholic Church in Livingston, Texas with Father Tarsisius Puling, SVD officiating. A rosary will be held from 10:15 a.m. on Thursday, April 25, 2019 until the service begins at 11:00 a.m.
Mr. Clafferty was born September 8, 1936 in Longview, Texas, to parents, William Henry Clafferty Sr. and Mabel (Smith) Clafferty and passed away in Elkhart, Texas, on April 6, 2019. He is preceded in death by his parents; daughters, Jeannie Clafferty and Concetta Clafferty; and sisters, Barbara Clafferty, Delores Andrews, and Mabel Hayes. During his life, Hank served two years in the National Guard in Longview, Texas. He served 4 years in the Air Force during peace time. After getting married and moving to Texas City, Texas, he volunteered with the Galveston County Sheriff’s Dept. Marine Division for search and rescue. He worked at NASA for thirty-two years for various contractors through the move of equipment in various buildings throughout Houston to the present site in Webster, Texas. He then continued to work through all of the flights including the end of the Shuttle Program. He retired and moved to managing a wine-grape vineyard near Rising Star, Texas for nine years. While there, Hank was commissioned by the pastor to serve as an Adult Acolyte to help the priest manage the four parishes he was pastor of. After a move to Brownwood, Texas, Hank volunteered at the VA Clinic as a driver of a van shuttle to and from the VA Hospital in Temple, Texas. He then became the Co-coordinator of the service and did so for five years until our move to Livingston, Texas in March of 2009. He was a father of five girls and married for fifty-seven years to the same lady. He is survived by his wife, Jo Ann Clafferty of Livingston; daughters, Elodie Jo Gasca and husband, Lupe of Deer Park, Kelly Ann Gonzales of League City, and Colleen Marie Montague of Katy; grandchildren, Brent Clafferty, Michelle Rives and husband, Bryan, Jessica Gonzales, Ashley Montague-McChesney and husband, Shad, Christina Montague, Taylor Surratt, Tyler Surratt, and Taryn Surratt; great-grandchildren, Avery Rives, Jackson Rives, Everett Rives, Alexander McChesney, and James McChesney; and brother, Mike Clafferty and wife, JoAnn; along with numerous other relatives and friends. Cochran Funeral Home is in charge of the arrangements. Please sign our online guestbook at www.cochranfh.com. Funeral services for Rose Coleman Helmontoller Speights, 78, of Livingston, Texas, will be held Friday, April 12, 2019 at 11:00 a.m. in the Cochran Funeral Home Chapel in Livingston, Texas. Interment will follow in the Peebles Cemetery in Livingston, Texas. Visitation will be held from 10:00 a.m. until the service begins in the funeral home. Rose was born June 30, 1940 to parents Clint “Buck” Coleman and Beatrice Turner Coleman, the 3rd of 8 children. After several moves, her family settled in Schwab City, Texas. 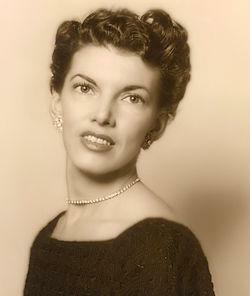 She married Ira “Radar” Helmontoller on December 22, 1956. They were married until his death on September 8, 1988. She married B.E. “Slim” Speights March 20, 1993 and they were married until his death on December 1, 2002. She always bragged about how lucky she was to have married two wonderful men! Rose never met a stranger and was known for talking to everyone no matter where she was. She was passionate about her family, God and her country. She was a founding member of F.A.I.T.H. (Families and Individuals Thanking Heroes) and was actively involved in the care package program until her health started declining a few years ago. But that did not stop her from telling everyone she came in contact with about the program! She will always be remembered for her fund-raising efforts for this group. Although Rose’s last 6 months were confined to hospitals and Pine Ridge Health Care Center, she continued to make friends among the staff and looked at them all as her “family”. A special thank you to the ENTIRE staff of Pine Ridge Health Care Center for the love and care and special attention given to “Mrs. Rose.” She loved each and every one of you! Rose also wanted to say a last big thank you to her special son and doctor, Dr Jerry Wood. She always loved you and appreciated you for your care and friendship! Your family is her family! She is survived by her daughters and sons-in-law, Bea and Danny Ellis, and Mary and David Landgrebe; and the true loves of her life - her grandchildren, Sean, Heather, Greyson, Axel, Kristopher and Tara Ellis, and Bowen, Kristen, and Katherine Landgrebe. She is also survived by her step-children, Larry and Jo Speights, Brenda and Michael Walker, and Linda Speights; grandchildren, Lara and Jhodig Marcano, John, Cori, and Mary Speights, Michelle and Larry Lyons, and Kimberly Tynan; along with great-grandchildren, Alexis and Lara Lyons, and Brooklyn and Kason Willett. She loved them as her own! She is survived by her siblings, Doris Nerren, Margaret Evon Hill, Amanda and David Jones, Clint and Carolyn Coleman, Vinnie Siegel, and Dianne Shults. A special bond with each of them will always be remembered and cherished.Rose was blessed with many, many nephews and nieces, all of whom she loved and doted on. She had a special bond with them all and loved them with her entire being. Rose also valued her friends and made a point to talk to anyone and everyone, and to get to know them, whether they wanted to or not. She made friends for life! She is survived by her longest friendship of 63 years, Ada Ruth Oberpriller. Although their friendship has been confined to the phone the last 10 years, it was just as endearing to her last week as it was when they met. She also especially loved Helene Bauldree Alphin, Grace Luna, Sherry Middleton, and Tom and Jenny Hall, her Livingston Physical Therapy girls, her Chicago Family, Lawrence, Helga, Barry, Joan and Doris, and her adopted grandkids, Bobby and Cassy Johns. She is preceded in death by her parents; husbands; grandson, Kevin Allen Landgrebe; sister, Marcell Smith; and brothers-in-law, Bill Nerren, Delbert Hill, Jack Smith, Bobby Johnson, and Don Siegel. In lieu of flowers, she has asked for donations be made to F.A.I.T.H. at 305 West Mill, Livingston, Texas, 77351; The Ladies Auxiliary VFW Post# 8658 at PO Box 1174, Livingston, Texas, 77351; or to the charity of your choice. Funeral Services for Thomas Lockhart, 99, of Corrigan, Texas will be held on Saturday, April 13, 2019 at 11:00 a.m. at Corrigan Funeral Home with Pastor Buster Grigg officiating. Interment will follow in the Carmona Cemetery, Corrigan, Texas. Visitation will be held from 10-11 a.m. prior to the service. Thomas finished his earthly journey on Thursday, April 4, 2019 and went home to be with the Lord. He was born in Carmona, Texas on November 20, 1919 to the late Frank and Nellie (Toney) Lockhart. Thomas joined the United States Army and served his country from 1944-1946. After his honorable discharge from the military, he went to work for Shell Oil Company as a pipefitter for 30 years. He was a Baptist by faith and a long-time member of First Baptist Church in Corrigan. He enjoyed going to the Nutrition Center and playing dominos and “42” with his friends. He looked forward to Sunday drives to the lake and enjoyed the scenery along the way. His favorite restaurant in town was Johnson’s Café. While eating at Johnson’s on Sunday’s, he got the joy of visiting other friends that knew him as well. He is preceded in death by his parents; wife, Miriam (Sailer) Lockhart; son, James Thomas “Tommy” Lockhart; daughter, Mila Kay Lockhart; brother, J.C. “Tuffy” Lockhart; sister-in-law, Audrey Lockhart. He is survived by his granddaughter Joanna Hendrix and husband Tommy of Annona, Texas; grandson, Jonathan McEvoy and wife Delma of La Porte, Texas; great grandchildren, Madeline, Seth, Ethan, Jonathan Jr.; Ashton and Gavin and one great-great grandchild on the way; companion and caregiver, Shirley Davis; special friends, Charlie Cline and Jim Stokley and numerous other friends who will miss him dearly. Pallbearers: Tommy Hendrix, Seth Price, Ethan Hendrix, Jonathan McEvoy Jr., Dustin Langston, John Blalock, and Matthew Blalock. Estelle was a homebody is ever there was one. She was content to maintain the “home fires” and serve her husband and children. Her house was always tidy and welcoming. They always slept in clean beds and had clean clothes to wear. G.C. always said she was the best washer woman he ever knew because she never let the laundry pile up. The hamper got full sometimes with five people in the home but never overflowed. Even at 93 the dishes were promptly washed and stacked in the drain rack. And most of all while growing up, the front porch was swept every day. After G.C. built the front deck on their lake house, Carl could be assured that when he came over she would have him blow off the oak leaves. She was always a strong support for her children and grandchildren, nieces and nephews through her loving, gentle ways and regular petition in prayer. She was adored by five granddaughters, Ashley Gunther, Allison Flugrath, Kate Jablonski, Lorren DeLozier and Abigail Long, and five great-grandchildren, Elliott and Emmalin Hintze, Karley and Konrad and soon to be born Keller Gunther, and Atticus Smith. Beloved nieces Dyli Martin and Nyli Smith were like daughters to her and provided great comfort and joy in her later years. She also had a special affection for nephew, Joe Pope, Jr. and his wife Elaine, who visited her often. Numerous other nieces and nephews were a happy part of her life in the Sellers-Pope family. 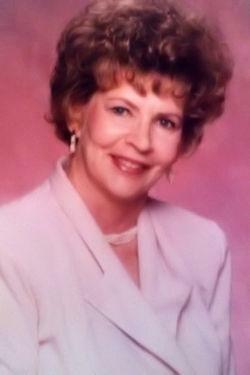 Memorial services for Anna Ruth Mabry, 73, of Livingston, Texas, will be held Saturday, April 13, 2019 at 11:00 a.m. in the Cochran Funeral Home Chapel in Livingston, Texas with Todd McAdams officiating. Visitation will be held from 10:00 a.m. until the service begins in the funeral home. Mrs. Mabry was born July 6, 1945 in Conway, Arkansas to parents, Ancil Starr and Anna Lee (Bartley) Starr, and passed away on April 5, 2019 in Livingston, Texas. She is preceded in death by her parents; husband, Harold Mabry; and sisters, Norma Barrington and Oneta Odom. She is survived by her daughter, Kellie Blackwell; daughter, Shellie Mabry and fiancé, Chris Chrisley; son, Brent Mabry and wife, Whitney; brother, Harold Starr and wife, Margaret; grandchildren, Bryan Blackwell and Hannah, Bradley Blackwell, Brady Blackwell, Joshua Teel and Kitti, Jacob Teel and Megan, Liam Mabry, and Kaileigh Houston; and great-grandchildren, Charlotte Blackwell, Harper Blackwell, Stian Teel, and Easton Houston; along with numerous other relatives and friends. The family would like to thank Pine Ridge Healthcare, The Bradford at Brookside, and Hospice In The Pines. Memorial services for William “Bill” Waldemar Schubert, 87, of Livingston, Texas, will be held Friday, April 12, 2019 at 11:00 a.m. in the First United Methodist Church in Livingston, Texas with Rev. Steve Woody officiating. A Celebration of Life service will be held on Saturday, April 13, 2019 at 10:00 a.m. in the First United Methodist Church in Anahuac, Texas. Bill Schubert passed away peacefully in Livingston, Texas on April 4, 2019. He was born in Effingham, Illinois and graduated from high school in Merchantville, New Jersey. He went on to earn a music degree from Westminster Choir College in Princeton, New Jersey. Bill proudly served his country in the United States Marine Corps where he used his musical talent to build a recruit choir. After the service, Bill went back to school to earn a Bachelor’s degree in order for him to teach public school. He then became the Choir Director for high school in Anahuac, Texas. Eventually, receiving his Master’s degree in Performance from Lamar University. Bill was also very active in church and served as choir director and youth minister in the First United Methodist Church in Bay City, Texas and in the Grace Methodist Church in Baytown, Texas. In his spare time, Bill preformed in many musicals, but his favor part was Tevye in “Fiddler On The Roof.” He performed in Baytown and Liberty Little Theaters, the Beaumont Opera, the Houston Opera, and at Lamar University. Bill is preceded in death by his parents, Walter and Wilma Schubert; and his first wife, Shirley Schubert. He is survived by his wife, Wilbur Lee Schubert; sons, Mark Schubert and wife, Pam, and son, Billy Schubert and wife, Liz; daughter, Belinda Schubert and partner, Dewey Windham; step-son, Mike Chessher; step-daughter, Melissa Chessher; grandchildren, Kellie Standley, Blake Standley, Robbie Schubert and wife, Anne, Dustin Schubert and wife, Macie, Nicole Grisham and husband, Matt, Shelli Wendland and husband, Kevin, Shawn Schubert, Scott Schubert, Stephanie Daniels and husband, Ron, Kelsey Kelley and husband, Cody, Nicole Belanger, and Emily Chessher; 12 great-grandchildren; and special friends, Chris Rash, Martha Norris, and the Sunday Morning Breakfast Club; along with numerous other family members, friends, and students whose lives he touched. He was a great teacher, educator and philosopher with a magnificent tenor voice. He enjoyed a successful career in music as a performer and an educator. He built an award-winning choir program at Anahuac High School and changed the lives of many students by helping them find their voice. Bill will always be remembered as a wonderful husband, father, grandfather and friend. He will be greatly missed by all that knew him. In lieu of flowers, donations may be made to the Livingston First United Methodist Church Music Ministry, P.O. Box 1638, Livingston, Texas 77351 or to a charity of your choice. A Celebration of Life for Barbara J Ridgeway will be held at the First United Methodist Church in Livingston on Saturday, April 13, 2019 at 11:00 am. Barb was born February 3, 1937 in Seymour Indiana to parents Harold and Marie Alexander and passed away peacefully in Livingston, Texas surrounded by her loving family and friends March 31, 2019. She was preceded in death by her parents and older brother Jimmy Alexander, who died as a toddler. She is survived by her husband of 59 years, Gerry Ridgeway; her children, Vikki (Matt) Jones, Jim Sylvester, and Deb (Kurt) Neubek and her grandsons, Dean and Grant Neubek. She is also survived by her sisters, Pam (Benny) King and Anita Naanes plus loving nieces, nephews and countless extended family and friends. Barb was a kind and generous soul who loved to work with the elderly, volunteer for good causes and show her artistic side through needlework and flowers. Barb always taught that no matter what, family stuck together, forgave each other, and loved each other. She passed on the good values of a Christian life and we’re forever thankful. She’ll be missed and remembered. Knowing she passed peacefully and is in God’s loving arms brings her physical life to a beautiful end and her spirit life to a wonderful beginning. The Celebration of Life Memorial Service for Terry Lee Klock, 67, of Livingston, Texas, will be held Sunday, April 7, 2019 at 2:00 p.m. in the Cochran Funeral Home Chapel in Livingston, Texas with Father Chester Makowski officiating. Visitation will be held from 1:00 p.m. until the service begins in the funeral home. Terry was born December 3, 1951 in Watertown, New York to parents, Preston Klock Jr. and Helen Hoover Henderson, and passed away peacefully in his home on April 2, 2019. In 1983 Terry moved his family here from Missouri City, Tx. He was very involved in Livingston Little League and Girls Soft Ball. 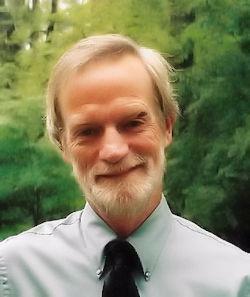 He was a master cabinet builder and a gifted wood worker. His entire life Terry could be found working on a pit crew, hauling race cars, building and repairing whatever was needed at racetracks, driving car #99 and was the flagman at local racetracks. In his spare time, he coached his grandson’s T-Ball team, The Bandits. Terry never remarried after his divorce from Jorja. Jorja and her husband, Butch Turner, had a special friendship with Terry all while raising their grandson, Kaiden together. He is preceded in death by his parents; stepmom, Sue Klock Browne; step-brother, Cleon Betsill; sister, Valarie Klock Jacobs; brother-in-law, Charlie Lee; and nephew, Dory Klock. He is survived by his children, Kevin and Lindsey Klock; grandson, Kaiden; 4 brothers, Kelvin Klock and wife, Lin, Randy Klock and wife, Janet, Alvin Klock and wife, Christina, and Wayne Brown; 5 sisters, Trudy Lee, Brenda Jones, Tina Steenerson, LaQuita Clark, Linda Woehl; and numerous nieces, nephews and other relatives and wonderful friends. Graveside Services for Mrs. Jo Ann Nelson, 83, of Deer Park, Texas will be held Friday, April 5, 2019 at 12:00 p.m. in the Union Springs Cemetery with Pastor Charlie Hodge officiating. 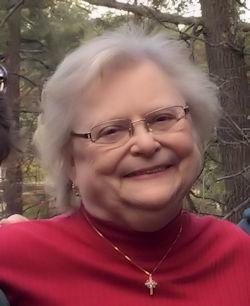 Jo Ann went home to be with the Lord on Tuesday, April 2, 2019 surrounded by her loved ones. 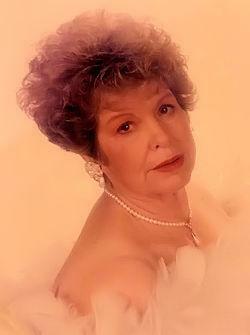 She was born on October 9, 1935 in Trinity, Texas to the late Robert Oliver “RO” and Jewel (Arnold) Chessher. 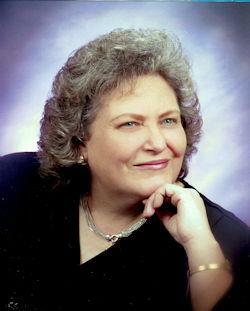 Jo Ann was a Baptist by faith and a longtime member of Sagemont Church. She grew up in Groveton and attended Groveton High School. Her hobbies were adult coloring, needle point, embroidering, shopping, collages, and reading. 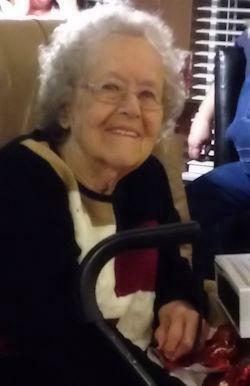 Spending time with her family, Christmas giving, laughing, and singing gospel hymns brought her the most joy. She is preceded in death by her parents, Robert Oliver “RO” and Jewel Chessher; former husband, Emmett Allen; daughter, Connie Dunstan; brother, Robert Chessher. 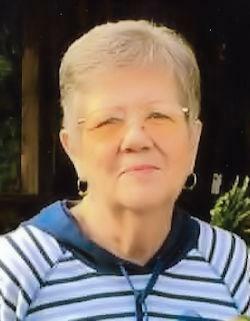 Jo Ann is survived by her daughters, Mary Ziegler of Deer Park; Ellen and husband Lonnie Gillespie of Deer Park; sister, Bonnie Runge; brother, Dan Chessher and wife Jackie; grandchildren; Kathy Gouger and husband Norman, Ronnie St. Lawrence, April Zarzour, Randy White and wife Amanda, Melissa West and husband Mike, and Casey Burkett and wife Tammy; 11 great-grandchildren; 2 great-great grandchildren and numerous nieces and nephews and other relatives and friends. Pallbearers: Michael West, Casey Burkett, Chris Chessher, Greg Runge, Charles Runge, and Norman Gouger. Services are entrusted to Corrigan Funeral Home, Inc.
Graveside services for Carey Eileen Cook, 95, of Livingston, Texas, will be held Saturday, April 6, 2019 at 10:00 a.m. in the Jones Prairie Cemetery in Leggett, Texas with Rev. Harold Isaacs officiating. Visitation will be held from 5:00 – 7:00 p.m. on Friday, April 5, 2019 in the Cochran Funeral Home in Livingston, Texas. Mrs. Cook was born August 4, 1923 in Leggett, Texas to parents, Lewis T. Galloway and Mattie Ellen (Laroe) Galloway, and passed away on April 2, 2019 in Huntsville, Texas. She is preceded in death by her parents; husband, Wilburn Cook; and brothers, Donnie Galloway and Glen Galloway. She is survived by her daughter, Kathy Schulz of Los Angeles, Texas; daughter, Kayla Duerer and husband, Cordell of Huntsville, Texas; grandchildren, Walker Schulz and wife, Anne, Joel Schulz, and Courtney Hilliard and husband, Michael; and great-grandchildren, Lillian Grace Schulz, Stephen Schulz, Rayney Schulz, and Haisley Mae Hilliard; along with numerous other relatives and friends. Crystal Mary Mingues, born January 19, 1994 to Lonnie Mingues and Eliza Shavers in Mountain View, Arkansas, passed away on March 29, 2019 in Shepherd, Texas at the age of 25 years. She is survived by her father, Monty Wayne Mingues; mother, Eliza Shavers; son, Brandon Nicolos Sherrard; grandparents, Richard & Susan Lower; brothers, James Preston Hall, Calvin Wayne Hall; numerous other relatives and a host of friends. Crystal is preceded in death by her sister, Phenelopy. To send your online condolences please visit www.pacefuneral.com. 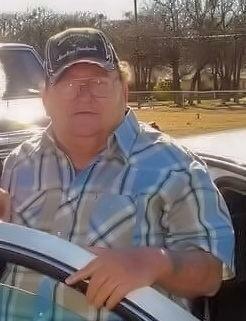 Graveside services for Jonathan Merritt Alexander Sr., 65, of New Willard, Texas, will be held Thursday, April 4, 2019 at 10:00 a.m. in the Alexander Cemetery in New Willard, Texas with Rev. Tim Thompson officiating. Visitation will be held from 5-7 p.m. on Wednesday, April 3, 2019 in the Cochran Funeral Home in Livingston, Texas. Jon was born December 12, 1953 in Livingston, Texas, to parents, E. E. Stiney and Jenarie Alexander and passed away peacefully at his home in New Willard, Texas, surrounded by his loving family on April 1, 2019. He is preceded in death by his parents; brother, Jack Alexander; and granddaughter, Merritt Elizabeth Alexander. He is survived by his sons, Clinton Alexander, and Jonathan Alexander Jr. and wife Julie; grandsons, Jackson and Ethan Alexander; and sister and brother-in-law, Chris and Mike Center; along with numerous other relatives and friends. Jon was a generous and kind man, and a loyal friend, who never failed to lend a helping hand to those in need. He will be greatly missed by all those who knew him. Memorial services for Alan Dale Oxener, 77, of Onalaska, Texas, will be held Saturday, April 6, 2019 at 11:00 a.m. in the Pine Forest Baptist Church in Onalaska, Texas with Rev. Sean Ferry officiating. Military honors will be provided by VFW Post #8568. Visitation will be held from 10:00 a.m. until the service begins at 11:00 a.m. in the Pine Forest Baptist Church. Mr. Oxener was born July 10, 1941 in Chicago, Illinois to parents, Jacob Frederick Oxener and Henrietta (Stevenhagen) Oxener, and passed away on April 1, 2019 in Onalaska, Texas. 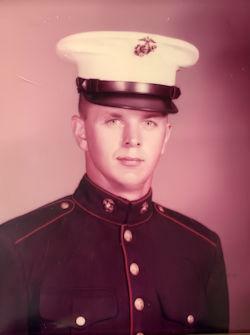 During his life, he proudly served his county in the United States Marine Corps. He is preceded in death by his parents. He is survived by his wife, Sharon Oxener of Onalaska, Texas; son, Steven Oxener of Houston, Texas; daughter, Marianne Konicek of Houston, Texas; son, Todd Oxener and wife, Theresa of Waller, Texas; sister, Nancy Kennedy of Largo, Florida; and grandchildren, Amber, Austin, Megan, Don and Alexis; along with numerous other relatives and friends. Gary Roberts, born June 27, 1935 to Leroy and Dorothy Roberts in Hamilton, Ohio, passed away on April 1, 2019 in Conroe, Texas at the age of 83 years. He is survived by his sons, Kasey Roberts, Kirk Roberts and Kerry Roberts; daughters, Kim Scoville and Kelly Lackey; brother, Jerry Roberts; thirteen grandchildren; seventeen great grandchildren; numerous other relatives and a host of friends. Gary is preceded in death by his parents, Leroy & Dorothy Roberts; sister, Marsha. A Graveside Service for Gary will be held Thursday, April 4, 2019 at 2:00 PM at Foster Cemetery in Point Blank, Texas with Pastor Harold Isaacs. Military Honors will be provided by VFW Post 8568. 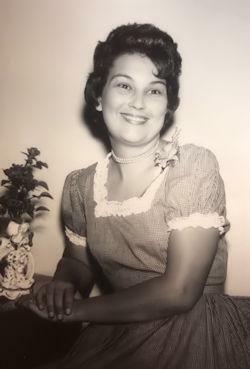 Graveside services for Velma Lee Shamel, 93, of Livingston, Texas, will be held Wednesday, April 3, 2019 at 1:30 p.m. in the Magnolia Hill Cemetery in Segno, Texas with Mitchell Murphy officiating. Visitation will be held Wednesday, April 3, 2019, from 11:00 a.m. – 1:00 p.m., before the service, in the Cochran Funeral Home in Livingston, Texas. Mrs. Shamel was born January 31, 1926 in Hardin County, Texas, to parents, Jesse James Wilkinson and Edna (Collins) Wilkinson, and passed away March 30, 2019 in Livingston, Texas. She is preceded in death by her parents; husband, John Shamel; brothers, William Wilkinson and Clarence Wilkinson; and sister, Margie Miller. She is survived by her daughter, Gretchen Rushing of Livingston, Texas; grandsons, Ian Rushing and Evan Rushing; and sister, Rose Gay also of Livingston, Texas; along with numerous other relatives and friends. The family wishes to thank everyone at the Pine Ridge Nursing Home and Kindred Hospice for the excellent care of their loved one. Graveside services for Larry Ervin Deplois, 74, of Livingston, Texas, will be held Tuesday, April 2, 2019 at 10:00 a.m. in the Peebles Cemetery in Livingston, Texas with Bro. Pick Bland officiating. Mr. Deplois was born May 8, 1944 in Nowata, Oklahoma to parents, Otto Deplois and Francis (Rich) Deplois, and passed away on March 29, 2019 in Conroe, Texas. During his life, he proudly served his county in the United States Navy. He is preceded in death by his parents. He is survived by his son, Larry Deplois Jr. and wife, Jennifer of Cleveland, Texas; grandson, Matthew Deplois and wife, Amie of Onalaska, Texas; granddaughter, Macie Deplois and husband, Shawn of New Braunfels, Texas; grandson, Jacob Deplois of Dayton, Texas; granddaughters, Alissa Millican of Porter, Texas, and Kasey Deplois of Cleveland; Texas; great-grandson, Derrek Deplois of New Braunfels, Texas; great-granddaughters, Bailey Anciso and Kennedy Anciso both of New Braunfels, Texas; great-grandson, Jaxin Deplois of Onalaska, Texas; and extended family member, Karen King of Cushing, Oklahoma; along with numerous other relatives and friends. 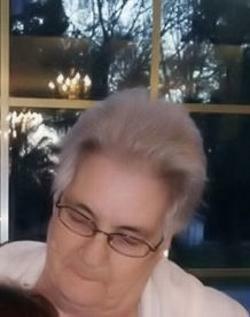 Funeral services for Glenda Maxine Baker Cryer, 77, of Livingston, Texas, will be held Sunday, March 31, 2019 at 2:00 p.m. in the Cochran Funeral Home Chapel in Livingston, Texas with Bro. Roy Blackmon and Bro. Mike Meadows officiating. Interment will follow in the Pine Grove Cemetery in Corrigan, Texas. Visitation will be held Saturday, March 30, 2019 from 5:00 – 7:00 p.m. in the Cochran Funeral Home in Livingston, Texas. 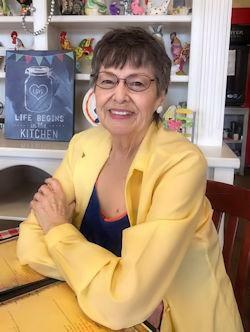 Mrs. Cryer was born March 5, 1942 in Grapeland, Texas to parents, McCormick “Mack” Baker and Arthie (Pyle) Baker, and passed away on March 27, 2019 in Livingston, Texas. She is preceded in death by her parents; husband, Glenn Cryer; and brother, Gary Baker. She is survived by her daughter, Donna Lawson and husband, Terry of McKinney; daughter, Celia Davis and husband, Jack of Livingston; granddaughter, Ashley Akers and husband, Emmanuel of Fate; grandson, Tyler Lawson of Prosper; nieces, Angela Goines and husband, Gary of The Woodlands, Alison Davis and husband, Mitch of Center, and Sandy Gilzow and husband, Gabe of Chester; nephew, Andy Baker and wife, Jennifer of Huntsville; sister-in-law, Carolyn Hanselman and husband, Ken of Huntsville; brother-in-law, Don Cryer and wife, Mary of Chester; and her soon-to-be-born great-granddaughter, Riley Ruth Akers; along with numerous great-nieces, great-nephews, cousins, other relatives and friends. Graveside services for Johnnie “Mike” Micheal Allen, 58, of Livingston, Texas, will be held Saturday, March 30, 2019 at 10:00 a.m. in the Magnolia Hill Cemetery in Segno, Texas with Bro. Mitch Murphy officiating. Visitation will be held Friday, March 29, 2019 from 5:00 – 7:00 p.m. in the Cochran Funeral Home in Livingston, Texas. Mike was born on September 26, 1960 in Livingston, Texas to parents, Marvin Allen and Betty Louise (McNiel) Allen, and passed away on March 27, 2019 in Livingston, Texas. He is preceded in death by his parents; and brother, James Marvin Allen. He is survived by his daughter, Kelsey Holuby of Livingston, Texas; son, Jeffrey Wiggins of Livingston, Texas; daughter, Abigail Allen of Granbury, Texas; grandsons, Brighten Holuby 0of Livingston, Texas and Jeffrey Wiggins Jr. of Santa Fe, Texas; granddaughter, Hailey Wiggins of Livingston, Texas; and sisters, Cindy Tolar and Linda Bartlett both of Livingston, Texas; along with numerous nieces, nephews, other relatives and friends. 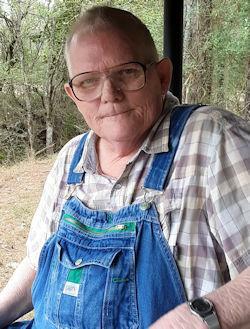 Memorial services for David Charles Myers, 68, of Onalaska, Texas, will be held Saturday, March 30, 2019 at 11:00 a.m. in the Church of Christ in Onalaska, Texas with Jerry Myers officiating. David was born on October 29, 1950 in Tulsa, Oklahoma to parents, Arthur Jerome Myers and Leola Lee (McFarland) Myers, and passed away on March 24, 2019 in Onalaska, Texas. He is preceded in death by his parents. He is survived by his wife, Linda Myers of Onalaska, Texas; brother, Jerry Myers and wife, Sherrill of Topeka, Kansas; daughter, Carrie Jo Gernhauser and husband, John of White Settlement, Texas; step-daughter, Christi Francis of Cypress, Texas; step-son, Michael Franks and wife, Candice of Longview, Texas; grandchildren, Johnny Gernhauser, Jake Gernhauser, Mikayla Francis, Savanna Francis, Mason Franks, and Cora Lee Franks; nephews, Brad Myers and wife, Terra of Edmond, Oklahoma, and Nate Myers and wife, Ashley of Arcadia, Oklahoma; niece, Susan Fulks and husband, Josh of Edmond, Oklahoma; and great-nieces and nephews, Jett, Jaggar, Aiden, Miley, and Jules Lee; along with numerous other relatives and friends. At the request of the Myers family, attendees are asked not to wear black clothing as this is a Celebration of David’s life. In lieu of flowers, donations may be made to Livingston Kindred Hospice or to the American Cancer Society in David’s name. Memorial services for Clydus Fay Gantt, 92, formerly of Livingston, Texas will be held Thursday, March 28, 2019 at 2:00 p.m. in the Forest Hill Cemetery in Livingston, Texas with Rev. Joel Salazar officiating. Mrs. Gantt died March 8, 2019 at Twin Lakes Therapy and Living in Flippin, Arkansas. She was born June 14, 1926 to Clyde and Fay (Cavin) Williams in Bertram, Texas. 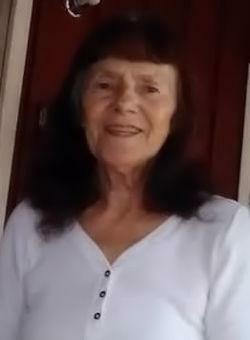 She is survived by her daughter, Ellen Sutphin and husband, Paul of Peel, Arkansas; grandchildren, Jessica Sutphin, Pam Farmer and husband, Michael, Brandie Paske and husband, Jason, Sean Sutphin, Jason Roberts, Jane Parmelly Cowles and husband, Zachary, and Jeffrey Parmelly and fiancé, Chelsea Vick; and 10 great-grandchildren; along with numerous other relatives and friends. She is preceded in death by her husband, Hershel Gantt; and daughters, Frances Roberts and Barbara Robbins. 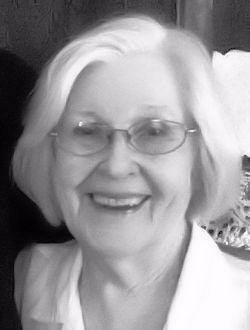 Memorial services for Gail Grigar, 82, of Livingston, Texas, will be held Saturday, March 30, 2019 at 1:00 p.m. in the Soda Baptist Church in Livingston, Texas with Bro. Wayne Bickley officiating. Mrs. Grigar was born February 12, 1937 in Freer, Texas to parents, Edward Gordon Finklea and Lillie (McShan) Finklea, and passed away March 23, 2019 in Kingwood, Texas. She is preceded in death by her parents; sister, Ariel Finklea; sons, Marcus Allen Tilley and Barry Wade Tilley; daughter-in-law, Lucinda Strange. 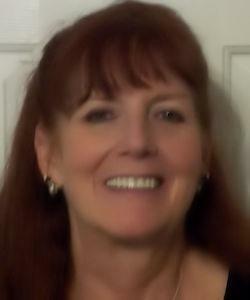 Gail is survived by her husband, Robert J. Grigar of Livingston, Texas; son, Tony Strange of Houston, Texas; daughters, Thomasina Strange of Houston, Texas, Donna Lynn Felts and Rick of Kingwood, Texas, Micha Dawn Rucka and Robert of Crosby, Texas; sister, Judy Simpson and Billy of Splendora, Texas; many grand, great-grand and great-great-grandchildren; along with numerous nieces, nephews, extended family and friends. 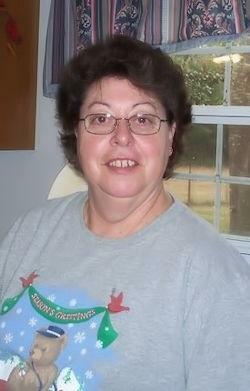 In lieu of flowers, please make donations to the Soda Baptist Church in memory of Gail Grigar. Funeral services for Kenneth Wayne Ishmael, 75, of Livingston, Texas, will be held Monday, March 25, 2019 at 2:00 p.m. in the Cochran Funeral Home Chapel in Livingston, Texas with Bro. Steve Waldrep officiating. Visitation will be held Monday, March 25, 2019, from 12:00 – 2:00 p.m., before the service, in the Cochran Funeral Home in Livingston, Texas. Mr. Ishmael was born May 17, 1943 in Fort Worth, Texas, to parents, Jim Ishmael and Catherine (Feaster) Ishmael, and passed away March 21, 2019 in Livingston, Texas. He is preceded in death by his parents; and son, Kenneth James “Yogi” Ishmael. He is survived by his wife, Mary Ann Ishmael; daughter and son-in-law, Kristy and Lee Kelley; son and daughter-in-law, Bryan “Bubba” and Becky Ishmael; daughters and sons-in-law, Kelly and Howard Smith, and Cathy and Dale Callaway; sons, Kenny Glenn Ishmael and Kenneth Wayne Gee; 15 grandchildren; 8 great grandchildren; sister, Shirley Ishmael; and brother, Jimmy D. Ishmael; along with numerous other relatives and friends. 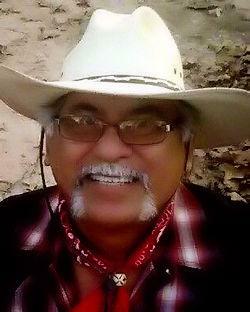 David C. Muñoz, Sr. born April 20, 1958 to parents Robert & Jesusa (Contreras) Muñoz in Alice, Texas, passed away on March 19, 2019 in Livingston, Texas at the age of 60. David is survived by his loving wife Barbara; sons David Muñoz Jr & Omar Muñoz; step children Stacey J. Maldonado & husband Robert, April J. Valasquez & husband Ruben, Milla D. Carbayal & husband Trinidad, Roddy Rodriguez & wife Bobbie, Justin L. Rodriguez & wife Tina; brothers Robert Muñoz & wife Estella, Raul Muñoz & wife Diane, Joe Muñoz & wife Angie, Juan Muñoz & wife Josie and Isuaro Franco III; sisters Francis M. Luna, Maria Villareal, Rebecca Hernandez & husband Jesse and 14 grandchildren; former wife and mother of his two sons, Rachel Gonzalez Muñoz; numerous other relatives, friends and his loving pet Harley. To send online condolences please go to www.pacefuneral.com. Graveside Services for Phyllis Morrow, 71, of Corrigan, Texas will be held Friday, March 22, 2019 at 2:00 p.m. in the Union Springs Cemetery with Pastor Phil Corbett officiating. Phyllis was called by God on Monday, March 18, 2019 with her daughter Gina and granddaughter, Jessica by her side. She was born on December 23, 1947 in McMinnville, Oregon to Frank and Louella (Brown) Elliott. 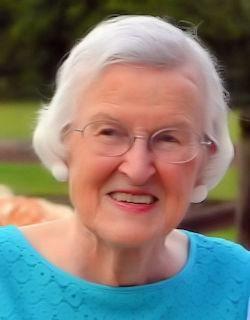 Phyllis was a Christian lady and loved the Lord with all her heart. Spending time with her family always put a smile on her face. She was employed by TDCJ and retired with 11 years of service. She was a huge animal lover and never wanted any stray animal that showed up on her porch to go hungry. In her spare time, she enjoyed going to the lake to fish. She is preceded in death by her parents, Frank and Louella Elliott; siblings, Don Elliott, Frank Elliott, LeRoy Elliott, Allen Elliott, and Ardis Hamilton; grandson, Bradly Scott Currie. Phyllis is survived by her husband, Wilbur Morrow of Corrigan; daughter and son-in-law, Gina and Gary Currie of Corrigan; sister, Katie King of McMinnville, Oregon; brother, Chris Elliott of McMinnville, Oregon; granddaughter, Jessica Mercer and husband Johnny of Corrigan; great-grandchildren, Johnny Mercer Jr. and Wyatt Mercer both of Corrigan and other relatives and friends. In lieu of flowers, donation can be made to the Bradly Currie Memorial Scholarship Fund. Honorary Pallbearers: Johnny Mercer, Christopher Sanders, Glenn Hopson, George Mercer III, Christopher Scroggins, Johnny Mercer Jr., and Wyatt Mercer. 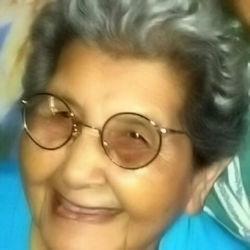 Funeral services for Leona Valderez, 91, of Livingston, Texas, will be held Saturday, March 23, 2019 at 2:00 p.m. in the Cochran Funeral Home Chapel in Livingston, Texas with Bro. Frank Aragon officiating. Interment will follow in the Peebles Cemetery in Livingston, Texas. Visitation will be held from 5:00 – 8:00 p.m. on Friday, March 22, 2019 in the Cochran Funeral Home in Livingston, Texas. Mrs. Valderez was born on July 28, 1927 in Onalaska, Texas, to parents, Vincent Guebara and Epifiana (Borjas) Guebara, and passed away March 19, 2019 in Livingston, Texas. She is preceded in death by her parents; husband, Feliciano Valderez; sons, Emanuel Valderez and Raymond Valderez; daughter, Evelyn Flores; grandson, Eric Valderez; and granddaughter, Lachrisa Valderez. She is survived by her children, Frank Valderez and wife, Paula, Mozelle Gonzales and husband, Paublo, Lucille Flores, Felix Valderez Jr. and wife, Lisa, Paul Valderez, Rebecca Gonzales and husband, Alejandro, Tony Valderez and wife, Lucia, and Adam Valderez; 34 grandchildren; 80 great-children; and 31 great-great-grandchildren, along with numerous other relatives and friends. Honorary Pallbearers: Silvana Valderez, Shawn Valderez, Josh Valderez, Jamie Valderez, Felix Valderez III, Miguel Garcia, Justin Valderez, Adam Valderez Jr.
Memorial services for Marilyn Nelson, 72, of Onalaska, Texas, will be held Friday, March 22, 2019 at 11:00 a.m. in the Cochran Funeral Home Chapel in Onalaska, Texas with Chaplain Lionel Whitaker officiating. Mrs. Nelson was born on April 25, 1946 in Wilmington, North Carolina, to parents, Windell Graham Malpass and Bessie Marie (Adams) Malpass, and passed away March 18, 2019 in Onalaska, Texas. She is preceded in death by her parents; husband, Noel Nelson; brothers, Billy Stalvey and Colby Malpass; and sisters, Shirley Alonso and Brendall Solomon. She is survived by her daughter; Sheila Robitaille; daughter-in-law, Lynn Robitaille; son, Mark Gragg; daughter-in-law, Jana Gragg; grandchildren, Alyssa, Tyler, Tanner, Alia, Wesley and Cammie; and sister, Kyra Sinclair Tangedahl; along with numerous nieces, nephews, other relatives and friends. 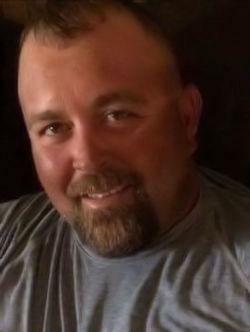 Graveside services for Billy Lee Nunley, 38, of Point Blank, Texas, will be held Friday, March 22, 2019 at 2:00 p.m. in the Rosewood Memorial Park Cemetery in Humble, Texas. Visitation will be held Friday, March 22, 2019, from 10:00 a.m. until 12:00 p.m., in the Cochran Funeral Home in Livingston, Texas. Billy was born September 9, 1980 in Houston, Texas, to parents, Kenny Dean Nunley and Rose Marie (Briles) Nunley, and passed away March 17, 2019 in Point Blank, Texas. 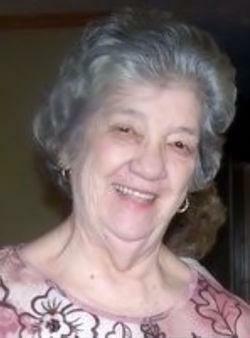 He is preceded in death by his father; and grandmother, Jewel Odean Nunley. He is survived by his wife, Courtney Nunley of Point Blank, Texas; sons, Kenny Nunley of Splendora, Texas, and Billy Leon Nunley of Point Blank, Texas; mother, Rose Woods of Houston, Texas; brother, Kenny Dean Nunley Jr. and wife, Amy of Willis, Texas; sister, Vicki Gault of Magnolia, Texas; aunt, Lorena Jane Cones of Livingston, Texas; and father-in-law, Jerry Blankenship of Oakhurst, Texas; along with numerous other relatives and friends. Please sign our online guestbook at www.cochranfh.com. Funeral services for Vickie Dale Goddard, 56, of Livingston, Texas, will be held Monday, March 18, 2019 at 2:00 p.m. in the Cochran Funeral Home Chapel in Livingston, Texas with Chaplain Lance Blackwell officiating. Visitation will be held Sunday, March 17, 2019, from 5:00 – 8:00 p.m., in the Cochran Funeral Home in Livingston, Texas. Mrs. Goddard was born on June 19, 1962 in Little Rock, Arkansas, to parents, Thomas Johnson and Mertiss (Thomas) Johnson, and passed away March 12, 2019 in Livingston, Texas. She is preceded in death by her parents; and stepdaughter, Lenora Goddard. She is survived by her husband, Butch Goddard; daughter, Brandy Fleming; son, Shawn Smith; daughter and son-in-law, Kimberly and Aaron Butler; daughter and son-in-law, Selena and Greg Rodriquez; daughter, Jennie Goddard; daughter and son-in-law, Melissa and Chris Hernandez; daughter and son-in-law, Christie Goddard and David Donahou; son and daughter-in-law, George and Ruth Goddard; grandchildren, Haley, Kolton, Nicole, Kendra, Mitchell, Kayla, Rebecca, Gareth, Liberty, Heavenly, Hadley, Ryder, C.J., and Josh; brother and sister-in-law, James and JoAnn Huff; sister, Diane Wilson; sister and brother-in-law, Susan and Sonny Eaton; half-brothers, Tom Johnson and Jerry Johnson; along with numerous other relatives and friends. Funeral Services for Doris Durham, 94, of Corrigan, Texas will be held Monday, March 18, 2019 at 11:00 a.m. at Corrigan Funeral Home with Pastor Lesly Wilkinson officiating. Interment will follow in the Union Springs Cemetery in Corrigan, Texas. Visitation will be held at 10:00 a.m. prior to the service. 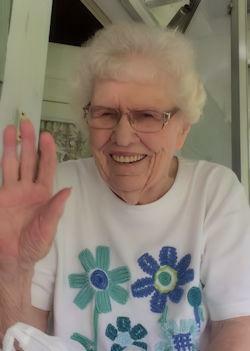 Doris went home to be with the Lord on Friday, March 15, 2019 at Corrigan LTC in Corrigan, Texas. She was born on April 15, 1924 in Barnum (Polk County, Texas) to the late Hayden and Martha Janie (Davis) Hearn. Doris was a Baptist by faith and a wonderful homemaker, who was an extremely good cook. She enjoyed painting and arts and crafts. In her younger years, she enjoyed fishing. One of her favorite game shows was Family Feud hosted by Steve Harvey. She was a cook for many years for the Corrigan School District and the Corrigan Nutrition Center. She also worked at Eaton’s Grocery and Western Auto. Most of all, she had a great love for Jesus and her family. She is preceded in death by her first husband, William Estelle Shepherd; second husband, Arlen Durham; daughter, Carolyn Sue Lowe; brother, Thomas Hearn; sister, Vivian Norman; brother-in-law, Sambo Norman; sisters-in-law, Louis Higginbotham and Wilma Grace Hearn; grandson, Melvin Ray Oliver. Doris is survived by her son-in-law, Melvin Lowe and wife Sandi; grandsons and granddaughter-in-laws, Stacey and Terri Lowe of Hudson and Josh and Loren Lowe of Corrigan; great grandchildren, William Cutter David Lowe, Timber Lea Wright, Garrett Innerarity, Brady Innerarity, Cayden Innerarity, Walker Hayden Lowe, Lanah Carolyn Lowe, and Christopher and Lupita Oliver; great-great grandchildren, Sawyer Lee Carlton, Chloe Lynn Oliver, Melvin Benito Oliver, and Bentley Kane Oliver; special friends, Julia Sirman, Skeeter Scarborough, and Thelma Barringer; caretaker, Lourdes (Lou-Lou) Perez and a host of other relatives and friends. In lieu of flowers, donations can be made to Hospice in the Pines or Union Springs Cemetery Association. Pallbearers: Derek Lowe, Johnathon Lowe, Christopher Oliver, Garrett Innerarity, Cayden Innerarity, and Matt Hughes. Graveside services for Doris Mae Jackson, 82, of Goodrich, Texas, will be held Monday, March 18, 2019 at 11:30 a.m. in the Peebles Cemetery in Livingston, Texas. Visitation will be held from 9:00 – 11:00 a.m. on Monday, March 18, 2019 in the Cochran Funeral Home in Livingston, Texas. Mrs. Jackson was born on February 19, 1937 in Terry, Mississippi, to parents, Robert William Patterson and Callie Ethel (Fleming) Patterson, and passed away March 14, 2019 in Goodrich, Texas. She is preceded in death by her parents; husband, Harold W. Jackson; and brothers, Robert Patterson, James Henry Patterson, and Charles Edwin Patterson. She is survived by her daughter, Jimmie Terrell and husband, Clifford of Goodrich; daughter, Marilyn Vick and husband, Forrest of Livingston; son, Clifford Jackson and wife, Monica of League City; daughter, Gail Robertson and husband, William of Deer Park; sisters, Irene Blanco and husband, Jose of Livingston, Dorothy Watkins and husband, Lucian of Shepherd, Margaret Rose and husband, Robert of Houston, and Earlene Harper and husband, Bill of Deer Park; brothers, Bobby Patterson and wife, Cynthia of Pasadena, and Frankie Patterson of Santa Fe; 10 grandchildren; and 15 great-grandchildren; along with numerous other relatives and friends. 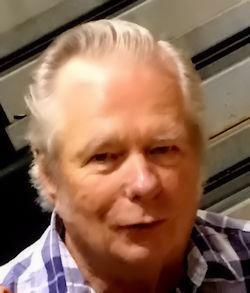 Mr. J.C. Anderson, 69, of Woodville, Texas was born on January 16, 1950 in Hearne, Texas, to parents, Scott Anderson and Helen (Wilson) Anderson, and passed away March 15, 2019 in Lufkin, Texas. He is preceded in death by his parents; grandson, Clessy Robinson; brother, Bob Annoot; and sister, Sally Turnbow. He is survived by his daughter, Kristy Anderson and husband, Robert of Woodville; brothers, Jim Annoot and wife, Eunice of Hempstead, Texas, Scott Anderson and wife, Eleanor of Onalaska, Texas, Dan Annoot and wife, Diane of Hempstead, Texas, Bill Annoot and wife, Patsy of Spring, Texas, and Kenneth Wayne Anderson of Sheridan, Texas; sister, Peggy Sue Bowie of Kirbyville, Texas; grandsons, James Abshire and wife, Desirae of Humble, Texas, and Scott Robinson of Woodville, Texas; great-grandson, Zekiel Abshire of Humble, Texas; and favorite great-great-nephew, Layton Ellis James of Mt. Pleasant, Texas; along with numerous other relatives and friends. Visitation for Peggy Sue Foxworth Chandler, 71, of Goodrich, Texas, will be held Saturday, March 16, 2019 from 11:00 a.m. - 1:00 p.m. in the Cochran Funeral Home Chapel in Livingston, Texas with Tommy Walker officiating. Mrs. Chandler was born on October 2, 1947 in Woodville, Texas, to parents, Charles Preston Foxworth and Willie Mae (Dean) Foxworth, and passed away March 15, 2019 in Livingston, Texas. She is preceded in death by her parents; husband, Walter Chandler; son, Bobby Chandler; and brothers, Jerry Foxworth, Roger Foxworth, Charlie Foxworth, and Robert Foxworth. She is survived by her daughter and son-in-law, Tammy and David Jankowski of Friendswood, Texas; son and daughter-in-law, Chris and Minnie Chandler of Dam B, Texas; grandchildren, Amber Lee, Ashley Crim, Kristina McLemore, Samantha Chandler, Kayla Grammer, Alex Jankowski, Nicholas Jankowski, Tulsa Chandler, Bobbie Chandler, and Haley Chandler; great-grandchildren, Zackery Randall, Brandon Lee, Hayden Lee, Austin Callahan, Kimberly Callahan, Blake Crim, Christian Crim, Destiny Mangum, Heaven Hall, Ashlynn Hall, Khloe Crim, Kendra Crim, Kambree Reed, Kennedy Reed, Bailey Ivey, Ayla Smith, Aiden Smith, Aubrey Smith, Ayriael Smith, and Colt Varnes; sisters, Ann Caldwell, Shirley Sinclair, Joan Dies, and Dorothy Stephens; and brothers, Larry Foxworth, Johnny Foxworth, Joe Foxworth and Keith Foxworth; along with numerous other relatives and friends. 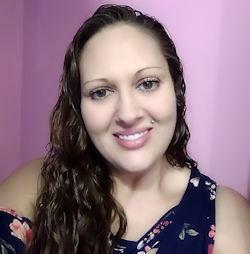 Memorial services for Rachel Melton, 43, of Conroe, Texas, will be held Saturday, March 16, 2019 at 4:00 p.m. in the Cochran Funeral Home Chapel in Livingston, Texas with Bro. Philip Larsen officiating. Rachel was born on August 29, 1975 in Houston, Texas, to parents, William Hillin and Amanda Stansberry, and passed away March 10, 2019 in Houston, Texas. She is survived by her daughters, Kendra Alexander of Livingston, and Maci Alexander of Tyler; son, Mason Alexander of Livingston; mother, Bunny Orr of Livingston; mom, Amanda Stansberry of Trinity; dad, Billy Hillin and wife, Cris of Burk Burnett; sisters, Sherri Burks and husband, Terry of Livingston, Angela Edgell and husband, Ryan of Austin, and Kristina Pilko of Houston; and best friend, Katherine Stoe of Conroe; along with numerous aunts, uncles, nieces, nephews, other relatives and friends. 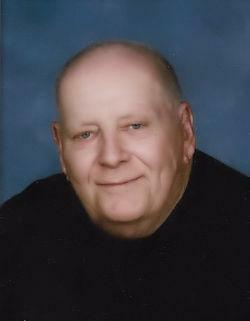 Funeral services for Sam Baggett, Jr. , 88, of Livingston will be held at 11 a.m. Saturday at Oakdale Cemetery. A retired meat market manager and cattleman, he died on Wednesday, March 13, at Pine Ridge Health Care after a brief illness. 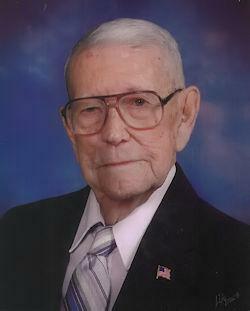 Baggett was born in Evergreen, San Jacinto County, but lived most of his life in the Polk County community of Oakdale. A member of Central Baptist Church of Livingston, he enjoyed hunting, trail riding and playing 42. Baggett is survived by his wife of 68 years, Mavis Baggett of Livingston; his son, Donnis Baggett, and his wife, Beverly Brown, of Bryan; daughter, Martha Ellis, and her husband, Bill Hodges, both of Livingston; grandson Wade Ellis and his wife, Laura Ellis, of Onalaska; grandson Drew Samuel Ellis of Onalaska; granddaughter Valerie Baggett of Carrollton; grandson David Baggett and his wife, Heather Baggett, of Charlottesville, Va.; and great-granddaughters Kelsi Ellis of Livingston, Kathryn and Lettie Ellis of Onalaska, and Samantha “Sam” Baggett of Charlottesville, Va.
Other survivors include his brother and sister-in-law, James A. Baggett and Rita Baggett of Theodore, Ala.; sister Dorothy Wigley of Fred, Texas; sister Shirley Brown of Livingston; sister Clina Mae Wright of Livingston; sister and brother-in-law Jessie Bee Duff and Freddy Duff of Livingston; sister and brother-in-law Joyce and Elmer Corcoran of Huntsville; sister Alice Baggett of Livingston; brother-in-law Joe Baxley of Livingston; and numerous nieces and nephews. 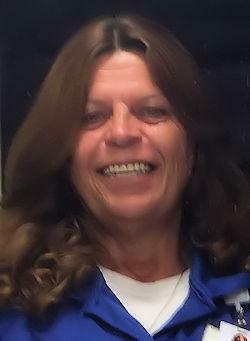 Debra Martin Crocker, Airman First Class retired USAF passed away February 2, 2019 at the age of 65 years and 3 months. Her loving parents John F. & Geraldine Martin; brother Michael Martin, Amy Burch and Jimmy Crocker preceded her. Born in McAllen, TX October 20,1953. She is survived by her husband William W. Crocker; daughters, Allison Rittinger & husband Troy, Dorothy Crocker; son, Billy Crocker, step son, Willie Crocker; sister, Cheryl Henry & husband Lamarr, Barbara; brother, Stephen Martin & wife Liza; mother-in-law, Helen Martin; nine grandchildren; numerous nieces, nephews, cousins and many friends. Memorial Service 2:00 PM Saturday, March 16, 2019 at Pace Funeral Home. Funeral services for Madeline Ficklin, 86, of Livingston, Texas, will be held Saturday, March 16, 2019 at 11:00 a.m. in the First Baptist Church in Onalaska, Texas with Rev. Allen Bramlett officiating. Interment will follow in the Magnolia Cemetery in Onalaska, Texas. Visitation will begin at 10:00 a.m. Saturday morning, just prior to service time at the First Baptist Church in Onalaska, Texas. 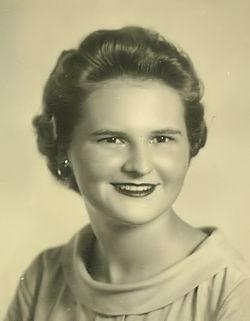 Madeline Ficklin was born on May 6, 1932 in Gilmore, Texas, to parents, Luther Berry and Leathel (Johnson) Berry, and passed away March 6, 2019 in Livingston, Texas. Before moving to Livingston, she was a Past Worthy Matron with the Eastern Star in Galena Park, Texas. She is preceded in death by her parents; husband, Chris Ficklin; brother, Kenneth Don Berry; and sisters, Bonnie Beatrice Berry and Peggy Ora Berry. Mrs. Ficklin is survived by her son, Calvin Ficklin of Livingston, son and daughter-in-law, Tim Ficklin and Joni of Dayton, Texas, son, Ben Ficklin of Houston, Texas; daughter and son-in-law, Charolotte Stockwell and Randy of Dayton, Texas; 7 grandchildren; 1 great-grandchild; along with numerous other relatives and friends. Madeline Ficklin will be escorted to her grave by pallbearers Chris Ficklin, Timothy Ficklin, Jeff Ficklin, Chris Sallans, Josh Ficklin and Benjamin Ficklin. Funeral Services for Betty Knox, 87, of Corrigan, Texas will be held Thursday, March 14, 2019 at 10:00 a.m. in the Wakefield Baptist Church in Corrigan, Texas with Pastor Robert Lankford officiating. Interment will follow in the Union Springs Cemetery in Corrigan, Texas. Visitation will be held Wednesday, March 13, 2019 from 6-8 p.m. at Corrigan Funeral Home. Betty finished her earthly journey on March 8, 2019 and went home to be with the Lord. She was born on March 20, 1931 in Tecumseh, Nebraska to William Arthur and Effie (Adkins) Spradley. She attended high school at Adams High in Adams, Nebraska. After graduation, she attended college at the University of Nebraska for two years, while working at Corn Husker Hotel. Her major was in Voice. While attending college, she received her cosmologist license. She later owned an operated her own business. She had the honor of meeting Nat King Cole and Helen Hayes and even being a stylist for them both. In her younger years, she also had an opportunity to perform modeling gigs and was also quite a vocalist. She met the love of her life, Weldon Knox on July 11, 1959 at the Top Hat Club in Lincoln, Nebraska. It was love at first sight for both. They married on October 11, 1959. She happily gave up her career to become a wife and mother. When the children were growing up, it was very important to Betty to have family prayer before bed. Her family looked up to her for being a role model in her love for the Lord. She was a faithful member of Wakefield Baptist Church. She loved each one of her children equally and treated them according to their own individual ways. She enjoyed painting, gardening, cooking, and watching cooking shows. She will be greatly missed by all who knew her, and her memory will live on in the hearts of her family. She is preceded in death by her parents, William and Effie Spradley; brothers, Carl Roach, Gerald Roach, and Bill Spradley. Betty is survived by her husband of 59 years, Weldon Knox of Corrigan; sons, Paul Knox and wife Sandy of Corrigan; Bill Knox and wife Claudia of Tomball; John Knox and wife Kelly of Colmesneil and Jay Knox of Corrigan; daughter, Peggy Perkins and husband Joe of Corrigan; brother, Ronnie Spradley of Hemet, California; 16 grandchildren; 34 great grandchildren and 2 on the way and numerous other relatives and friends. Serving as Pallbearers: Michael Knox, John Knox, Eric Knox, Kelley Knox, Ronnie Knox, Cameron Knox, Tanner Shepherd, Trevor Shepherd, Marc Perkins, Charles Perkins, James Knox, and Charles Knox.